Old newspapers mostly get shredded to make cellulose. 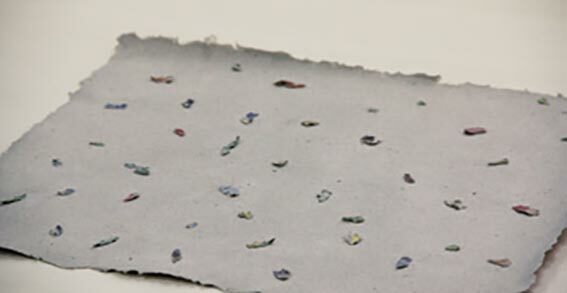 The Chilenian artist Carolina Perez did the exact opposite: Out of cellulose she made paper again. On this paper she placed fragments of words which she found in the cellulose and reconstructed a newspaper page very literally.